So, you’re planning to add a new furry addition to your family? 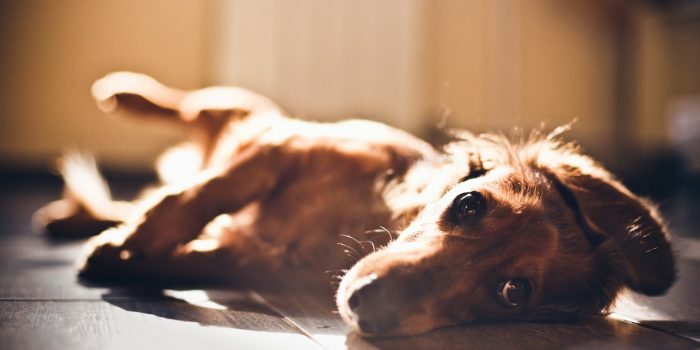 It’s no secret that dogs can be expensive, but if you haven’t setup your home for them – they can be even more expensive than you might imagine. First priority is making sure you have stored away anything that could be harmful to your pet. We recommend getting into a habit of putting these items, not just stored away, but out of reach from your pet; because as you will learn they will become more capable as they grow. Be aware, you should do your research as there are some everyday items that you may be surprised to find are poisonous to certain pets. For example, chocolate, avocado, macadamia nuts, grapes, raisins, lilies and ivy are just a few items that can be harmful to your pets. You want your puppy to learn quickly where their bed is, so they can become comfortable sleeping alone. This also assists dogs in adapting to toilet training, as much like in the wild they don’t want to go to the toilet where they sleep. If you consistently take your dog outside to go to the bathroom, and put keep them in a confined space to sleep, they should start to learn where they should do their smelly business. However, like any toilet training there is sure to be some accidents, so make sure you have pee pads laid out each night to make your job easier. Don’t forget to check out the best dog breeds for apartment living too! As a new pet owner, it is important for you to be responsible for not only the welfare of your pet, but the welfare of the public. So, if your dog jumps the fence and gets injured, or injures a person, out of fear or aggression, you could be made accountable. Therefore, it is important to be confident your dog can’t get out, particularly a puppy that it is inexperienced with the ways of the world and your local area. Be aware, small puppies often find it easy to wriggle through tiny gaps, while healthy, high-energy dogs can often jump surprisingly high; so, may need your puppy blockade impenetrable from both high and low. Having child proof fencing or dog pens can also be a very valuable addition when you wish to leave the house and block off your pet from certain areas of the house. Whether it’s a room full of rare china, a part of the garden with poisonous plants or maybe you’re just trying to impound a puppy on the warpath to stop it from destroying your home while you pop down to the shops for 15 minutes. Either way, creating a space to isolate your dog from anything valuable or dangerous is a lot easier with the use of a light and convenient puppy pen. For a puppy that’s teething you will want to have chew toys on hand, so you can start teaching them straight away what is theirs to chew – and what isn’t. Coax your dog to chew on their rubber toys, rather than your antique furniture by consistently taking them away from what they shouldn’t chew and replacing it with what they should. Repetition combined with an ample dose of positive reinforcement should have your new pup picking up what is for chewing and what isn’t within a few months. We recommend taping down any cords or wires that your dog could attempt to chew into. Blocking access to cords with furniture, lifting wires out of reach using hooks, running cables through walls and spraying cords with anti-chew spray are just a few ways you can thwart your teething pup from using a loose cable as a dangerous chew toy. With owning a dog estimated to cost around $1000 a year, it is important to be cautious with your new addition to the family. Rushing your puppy to the vet to have its stomach pumped because it just ate a mountain of Almond cookies, is a financial and emotional stress you don’t need. So, do your research and prepare your home ahead of time, so your new furbaby can grow up safely and healthily.